Lebanon boasts probably the longest established winemaking heritage in the world – vines are thought to have first been introduced there by ancient traders from South Caucasus. In 1857 Jesuit monks planted Cinsault in the central Beqaa Valley, which remains the focal point of production today, and home to the likes of Domaine des Tourelles, Château Musar and Massaya – all strongly influenced by Lebanon's former colonial master, France. Lebanon boasts probably the longest established winemaking heritage in the world. Vines of vitis vinifera are thought to have first been introduced in the region by traders from South Caucasus via Mesopotamia or the Black Sea. The wines of Tyre and Sidon were famous throughout the Mediterranean. Wine was an important element of the Phoenician religion, and the Greek god of antiquity Dionysus (known to the Romans as Bacchus) is believed to have originated in the wine rituals of Canaan, the region roughly encompassing present-day Israel, along with coastal land from Syria and Lebanon. The Phoenicians, the ancient inhabitants of Lebanon and celebrated traders and sailors of the time, played a key role in spreading wine consumption and viticulture throughout the Mediterranean. Historical records indicate that the wines of the ancient region of Byblos (aka Gubla, Gebal, Jubail, Jbeil) in Lebanon were exported to Egypt during the Old Kingdom (2686 BC-2134 BC). The local wine trade has overcome several setbacks over the centuries: production was curbed, albeit tolerated for religious rituals, when Lebanon was under the rule of the Caliphate. Winemaking blossomed in the late 1800s – in 1857 Jesuit monks planted Cinsault vines from Algeria and founded Château Ksara in the central Beqaa Valley. A string of new wineries followed, among them Domaine des Tourelles. 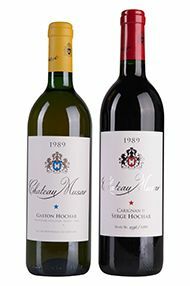 Gaston Hochar's celebrated Château Musar was a late arrival on the scene, in 1930, but its meteoric rise has seen it become one of the iconic Lebanese wines in the Western markets. Despite the adverse effects from the frequent conflicts in the region (chiefly vineyard destruction and immigration), the resilience and dedication of Lebanon's winemakers has kept winemaking traditions there alive, with annual production levels in recent times achieving between 400,000 and 700,000 cases. During the Lebanese Civil War in the 1980s, Gaston Hochar was famous for transporting his grapes across the front lines which separated his vineyards from the winery. Both the winemaking and viticulture practices are strongly influenced by Lebanon's old colonial master, France. Lebanese winemakers have a penchant for French grapes, particularly Cabernet Sauvignon, Merlot, Cinsaut, Carignan and Grenache. However Lebanon also has a wealth of unique, indigenous grapes and efforts are being made to exploit their potential. 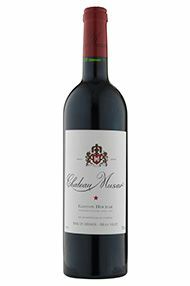 For instance, Château Musar White employs a blend of Obaideh and Merwah grapes, the former believed to be an ancestor of Chardonnay. The fertile Beqaa Valley is the heartland of Lebanese wine production and home to the Château Musar Château Kefraya, Château Ksara and Massaya. Founded in the mid '90s by Ramzi and Sami Ghosn in a joint venture with the Brunier brothers of Domaine Vieux Télégraphe and Dominique Hébrard of Maison Hébrard, Massaya is a boutique winery that has been making waves in the French market.